Jeffrey is the Managing Partner of the Chicago office and a seasoned trial attorney with a diverse commercial litigation practice and a particular fluency in bankruptcy litigation. He represents Fortune 500 companies, printing companies, cable operators, venture capital firms, automobile dealers, manufacturers, retailers and hotels. He is experienced in a broad range of business disputes, including contract claims, trade secret issues, U.C.C. issues, fraud claims, officer and director liability, shareholder disputes, and labor and employment disputes. In his bankruptcy practice, Jeffrey has tried numerous cases on behalf of debtors, trustees and creditors, including fraudulent conveyance claims as well as disputes over the validity and priority of claims. He also has significant experience representing creditors committees. Favorable jury verdict in excess of $600,000 for a client seeking damages for breach of a mail processing agreement, while successfully defeating the defendant’s multimillion-dollar counterclaim. Defended a private cable operator in an action brought by a major cable company to enjoin our client from providing cable service to a 470-unit apartment complex. Bankruptcy trustee of an aluminum manufacturing company resulting in a $2.7 million judgment against the debtor’s former CEO on fraudulent conveyance and breach of fiduciary duty claims. Defended a retaliation claim brought by a former employee who claimed he was discharged for purported whistleblowing activities. Obtained summary judgment for the client and successfully defended the company on appeal. Counsel to an asset management and liquidation firm which obtained a $1.1 million judgment in a dispute over the entitlement to certain assets being held by the Trustee for the estate of a former retailer. Litigation counsel to an automobile dealer resulting in a favorable judgment against a telecommunications company for common law fraud and violation of the Illinois Consumer Fraud and Deceptive Trade Practices Act. Counsel to the committee of unsecured creditors for a lettershop, fulfillment and packaging service. Counsel to the liquidating trustees of multiple national banks. 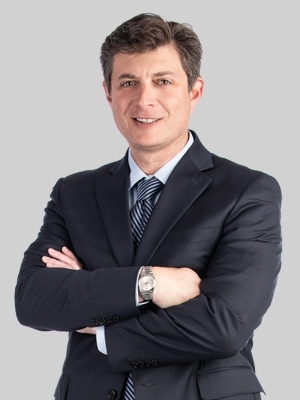 Jeffrey was a member of Shaw Fishman Glantz & Towbin LLC, which merged with Fox Rothschild in 2018.